1. In a small saucepan, combine the raspberries and water and simmer for 2 minutes. Remove from the heat and stir in the sugar. Let cool to room temperature (or chill in the refrigerator). 2. In a Size 12 Mason Cash Mixing Bowl, pour the apple cider, ginger ale, lemon juice and cranberry juice. Mix. 3. 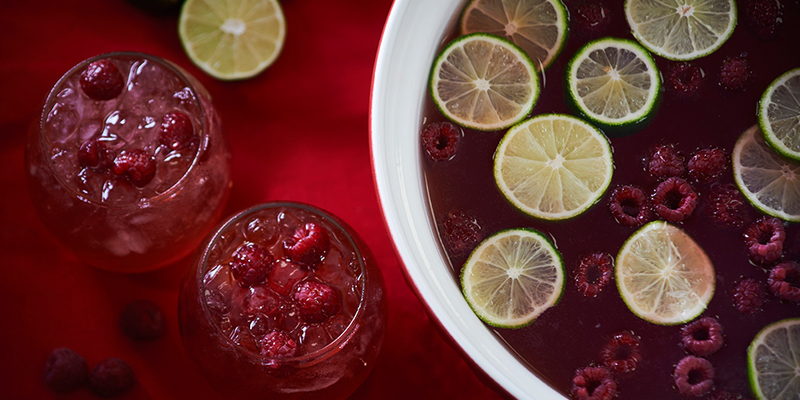 Serve in cups with crushed ice and top with fresh raspberries and sliced lime.